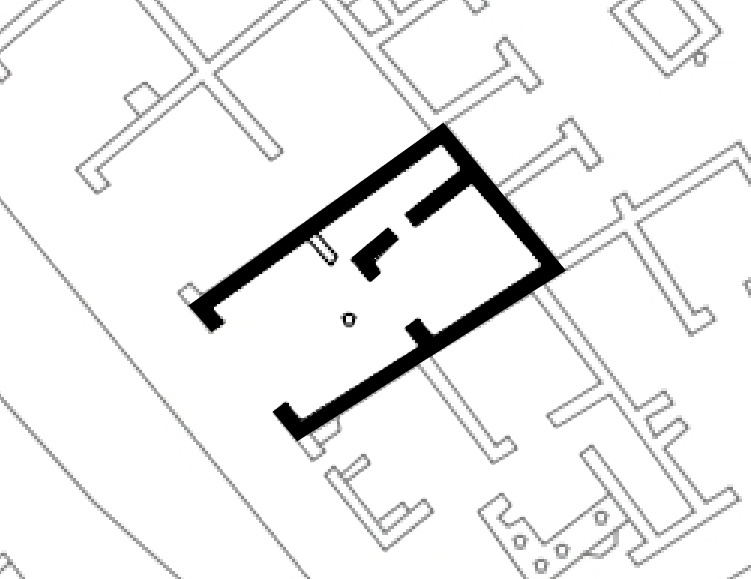 Taberna V 1,31 is located in the southwest corner of insula V 1 and it is among one of the buildings that was unearthed in the first excavations in Pompeii of April 1748. The entrance is from Via del Vesuvio and the taberna consists of three rooms (sequentially numbered 1, 2, and 3), which covers an area of approximately 30 square meters. The taberna was partly rebuilt, restored and redecorated during the Imperial period, probably after the earthquake of AD 62/63. The function of the taberna is not fully known, but itâ€™s classified as a shop for "sale of liquids" by Eschebach. Room 1 is the largest room of the house (totalling circa 16 square meters). 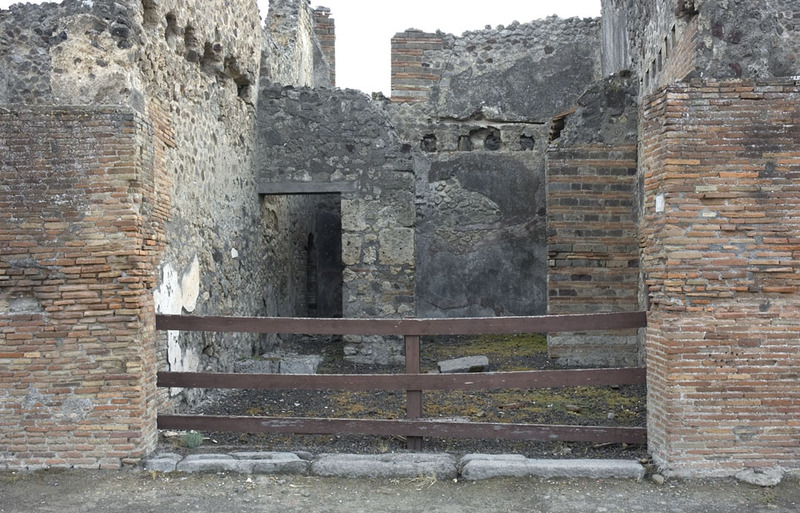 It is square shaped and entered through a circa 3.40 m wide doorway from Via del Vesuvio. The doorway is accompanied by a lava stone threshold. In the back of the room there are two doors leading to rooms 2 and 3. At first glance, the room seems to be mostly devoid of features, but below the modern floor level it contains two parts of a cisterns and a somewhat intrinsic system of water conduits. Only small parts of the floor remains and hardly any wall plaster. The second room is also square shaped. It is approximately three quarters of the size of room 1, and occupies the southeast corner of the house. It may be entered through the door from room 1, as well as from a door in the north wall, leading to room 3. Almost the entire cocciopesto floor is extant. Considerable areas of wall plaster (including traces of decoration) remain. Room 2 is situated on somewhat higher level than room 1. Room 3 is a corridor, leading to a latrine niche situated in the northeast corner of the taberna. The drain is connected with the drain from the second storey latrine above taberna V 1,30. The shared cesspit is located in the rear shop of V 1,30. The latrine floor is the only extant part of the floor. Some wall plaster still remains. Room 3 is situated on the same higher level as room 2. Although there is an upper floor of the taberna, there are no remnants or signs of a staircase (the limestone block by the north wall of room 1 that Eschebach suggests as the foundation of the stair, is not in situ). The narrow distance between the beam holes of the taberna also makes it difficult to locate the stair and the access to the upper floor of V 1,31 therefore remains an enigma. Room 1 and 2 was examined in September and October 2009, and room 3 in September 2010.